No matter which mobile operating system you use it’s bound to crash every once and a while, but as smartphones and their software continue to improve crashes have become less frequent. A new study from performance monitoring company Crittercism breaks down how often different version of Android and iOS crash, revealing that Google’s OS is actually a lot more stable than Apple’s. Android Gingerbread is apparently the most likely version of the OS to crash at 1.7 percent, while more recent versions of the software including Ice Cream Sandwich, Jelly Bean and KitKat all come in at a crash rate of just 0.7 percent. By comparison, iOS 7.1, Apple’s most recent mobile update, has a crash rate of 1.6 percent. Earlier versions are significantly higher, according to Crittercism, which puts iOS 7 at 2.1 percent and iOS 6 at 2.5 percent. The study also claims the iPhone 5 is Apple’s most stable smartphone, while Samsung devices are less likely to crash than other Android phones. Based on Crittercism’s report, the latest version of iOS 7 is just barely more stable than an Android iteration that hit the market over three years ago. That may sound crazy, but this study comes from the company’s one billion monthly active users. There are other factors to consider when picking between Android and iOS, of course, but if you’re looking for a phone that won’t crash Google’s platform may be the better choice. How to send a MMS picture from the browser on Galaxy Note 3? Big, Brash Android vs Slight, Beautiful iPhone – Which one are you? We compare the Samsung Galaxy S5 with the iPhone 5S: which is the best premium smartphone of 2014? Read our Galaxy S5 vs iPhone 5S smartphone comparison review to find out. The Galaxy S5 and the iPhone 5S are likely to be two of the biggest premium smartphones of 2014. And they are the ying and yang of the superstar smartphone world. One a big and brash Android, built to be robust and to make a statement when you slap it on the table in the pub. The other a beautiful if somewhat delicate handset, designed for ergonomic ease of use, to be a perfectly curated – if locked-down – experience. You will no-doubt have a favourite. Here we compare the Galaxy S5 and the iPhone 5S to help those of you who haven’t yet made up your minds to make a choice. But also so that fans of both or either can have their say in the comments at the bottom of the story. To be clear: we are currently basing our assessment of the Galaxy S5 on our initial hands-on review and the product spec. We’ve spent a lot more time with the iPhone 5S. We’ll update this article as we run more tests on the Galaxy S5. So eyes down for the biggest smartphone comparison of the year: it’s Team Android vs Team iPhone, and here’s our Galaxy S5 vs iPhone 5S smartphone comparison review. For more on the Galaxy S5, see our story Samsung Galaxy S5: Release date, price and specs. We had been expecting Samsung to make the Galaxy S5 available in March, but it looks like we’ll have to wait until 11 April to get our hands on the new smartphone. Samsung says it’ll be launching the Galaxy S5 on 11 April in more than 100 countries. At present, there’s no price for the Samsung Galaxy S5, but we’ll update this article as soon as we find out more. Speculation suggests that you’ll have to shell out around £600 for a SIM-free Galaxy S5. That’s the same price as the Galaxy S4, which is exactly what Samsung would want. It also keeps it in the same ball park as the iPhone 5S. The iPhone 5S is readily available right now with prices starting at £549 if you buy one off-contract from Apple. There are £629 and £709 models, depending on what level of storage you require. The Galaxy S5 will, like the iPhone 5S, be fast. Super fast. Certainly fast enough to handle multiple processes at the same time, without feeling laggy. So let’s compare to the spec of the Galaxy S5 with our experience of the iPhone 5S. Remember, we’ve only briefly tested the Galaxy S5. Inside the Galaxy S5 is the kind of high-end specs you’d want to find in a flagship. A 2.5GHz quad-core processor (Qualcomm Krait) is accompanied by 2GB of RAM. During our hands-on time with the device, performance is extremely smooth and nippy. The iPhone 5S, on the other hand, has a 64-bit A7 processor running at 1.2- to 1.3GHz. It’s a dual-core Cyclone processor paired with 1GB of DDR3 RAM. We’ve never found the iPhone to have any major performance issues, and Apple says it’s twice as fast as the previous model in both CPU and graphics performance. But that hardware is no match for that of the Galaxy S5. Does it matter in real-world terms? Remember that the feel of performance is as much software- as hardware related. On the iPhone 5S the A7 makes iOS 7 buttery smooth. There’s nary a judder or stutter when swiping between home screens, or exiting an app and watching your icons fly into place. Apps launch and web pages load faster than ever: the iPhone 5S is simply a joy to use. Similar gains were found in Geekbench 3, with the iPhone 5 scoring 721 points. Running GLBenchmark 2.7 (Egypt HD), the iPhone 5S managed 53fps, compared to the iPhone 5′s 41fps. However, a bigger difference can be seen using the T-Rex HD test, where the 5S scored 37fps. Again: number crunching is all well and good but the real-world performance of the phone is more important. And our early experience of the Galaxy S5 is just as good as you would expect from such a well-specced phone. Without further testing we’ll say only this: if you want a fast, high-end phone, S5 or 5S is all gravy. The Galaxy S5 retains that recognisable Samsung look. This means not much has changed compared to previous generations and other Galaxy devices. The S5 looks a lot like the Galaxy Note 3 which is a shame because it really requires its own style as a flagship device. Unfortunately it’s bigger, squarer and more boring than the Galaxy S5. It also doesn’t feel like a premium smartphone in the hand. A perforated rear cover supposedly makes it feel more natural but we just don’t see the benefit here, perhaps we need to live with the device for longer. A huge design change is that Samsung has added dust and water resistant credentials. That’s something which Sony has been offering for a while now in its Xperia range. The Galaxy S5 has an IP67 rating which means it will happily get wet without frazzling inside. However, you’ll need to make doubly sure that the port covers is on and the rear cover is perfectly clipped into place. I’m sure a number of users will get an unwanted surprise when the gaps aren’t completely covered. 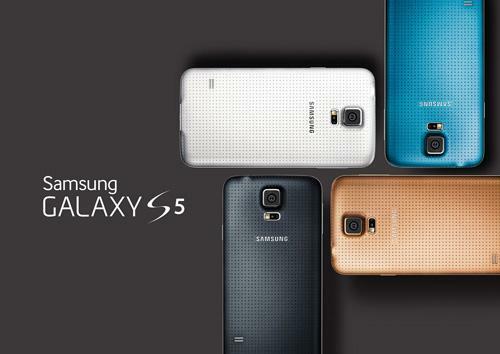 The Galaxy S5 comes in four colours at launch – black, white (as you might expect) plus blue and something called ‘copper gold’. The latter has a kind of peach tone to it in our opinion. The S5 measures 142 by 72.5 by 8.1mm, and weighs 145g. 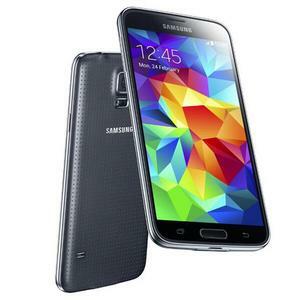 Going on the evidence of all previous Samsung Galaxy phones, the Galaxy S5 will be robust – you won’t need a cover. We cannot say the same for the iPhone 5S. Here construction is the same as the iPhone 5, a rather delicate and all-too scratchable aluminium body with aluminosilicate glass front, and glass inset top-and-bottom cheeks behind. At 112g and 7.6mm thick, it’s as ridiculously light and thin as before. And that is lighter, and smaller than the Galaxy S5. If you need small and light, the iPhone should be your choice. It’s not just the iPhone 5c that now demands you choose your colour. 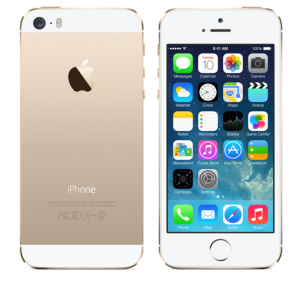 For the iPhone 5S Apple introduced a new gilt-free option it’s calling Gold – gold-effect back and edges with white glass trim. There’s the Silver option resembling last year’s white/silver iPhone 5. And the most sober of three, and the only one approaching decent availability at launch, is the black and grey model, dubbed Space Grey. It’s like the original black iPhone 5, only with a lighter shade of graphite to its back and edges. Instead of the Black & Slate and White & Silver options that the iPhone 5 was available in, the iPhone 5S has three colour options: Silver, Gold and “Space Grey”. Big, bold and plastic, or slight, classy and metal. Built for the slings and arrows of life on the road, or a beautiful object you’ll want to protect. The choice is yours. The Galaxy S5 camera has reached a decent 16Mp and has a few new features which catch the eye. Super-fast auto focus means you can take a photo in 0.3 seconds, according to Samsung. We couldn’t exactly time this but it does seem to be very nippy. A selective focus mode allows you to choose from three different focal points after you’ve taken a photo – near, far and pan. This didn’t work amazingly well in our hands-on but the conditions weren’t exactly ideal so we’ll test this out, and the other features when we get our review unit. Video shoots in 4k resolution like the Galaxy Note 3 which is impressive. The iPhone 5S has an 8Mp rear-facing camera that offers a ‘True Tone’ flash and backside illumination (BSI) sensor. It shoots video at 1080p and the iPhone 5S also has a Slo-mo mode. Around the front is the iPhone 5S’ 1.2Mp camera which is limited to 720p video. The iPhone 5S iSight camera has what Apple describes as a ‘better 8Mp sensor’, than either the iPhone 5 or the iPhone 5C. It lists the sensor as 8 megapixels with 1.5µ pixels. It has ƒ/2.2 aperture and a True Tone flash which has two LEDs, one of which is amber. The FaceTime Camera takes 1.2Mp photos at a resolution of 1280×960, and offers 720p HD video recording. Without properly testing it is difficult to be too definitive here, but it is fair to say that both of these handsets have very good smartphone cameras. Neither will replace your DSLR or even bridging camera. Android vs iOS is a big debate and with iOS 7 comes a major overaul of Apple’s mobile operating system. Apple has the strong App Store store on its side but iOS has a distinct lack of customisability which is Android’s major strong point. Android smartphone manufacturers tend to go one of two ways with their Android interfaces; vanilla as Google intended or all-out customisation with their own skin or overlay. The Galaxy S5 comes with Samsung’s take on Android 4.4 KitKat. This is Google’s most mature and easy-to-use mobile OS, albeit overlaid with Samsung’s TouchWiz interface. If you’ve used a Samsung phone before you’ll know what to expect. The Galaxy S5 comes in either 16- or 32GB capacities. A microSD card supporting up to 64GB is almost a given nowadays. The iPhone 5S is available in 16GB, 32GB and 64GB capacities but doesn’t have a microSD card slot for expansion. You’d have to call that a draw. Despite numerous rumours of a 5.25in screen, the Galaxy S5′s display is only marginally larger than the Galaxy S4′s. It’s 5.1in and if you were hoping for a new crazy high resolution then you might be disappointed to find out that the Galaxy S5 has a now very standard Full HD display. Of course, it’s still Super AMOLED as you would expect from Samsung. The screen looks good but we were expected the next generation of technology so we can’t help but feel disappointed. Samsung does say that the screen automatically adjust elements like colour gamut, white tone and contrast but we’ll have to wait for our review unit to test this out properly. Apple’s iPhone 5S still has a 4in display, in a 10:9 aspect ration. You get a resolution of 640 x 1136 pixels, which makes for a pixel density of 326 ppi. It is a more-than decent screen – one that until 18 months ago would have beaten out all comers. However, compared to the larger, Full HD displays of the iPhone 5S’s rivals, the screen is starting to feel cramped. You do pay for that extra screen size in extra bulk, but we’re going to chalk this one up to the Galaxy S5. Wireless connectivity is all up-to-date on the Galaxy S5 with 11ac Wi-Fi (MIMO), NFC, Bluetooth 4.0, an infrared transmitter, and the latest 4G technology. Samsung has fitted the Galaxy S5 with Cat 4 LTE supporting eight bands and a download booster which uses your Wi-Fi connection to give you a theoretical max download speed of 400Mbps. And there’s a fingerprint reader for added security. The iPhone 5S offers 802.11n WiFi and full 4G coverage. Apple also added a fingerprint scanner – known as Touch ID – to the iPhone 5S when it launched in September 2013. That’s two well-connected and pretty well-matched handsets. We can’t split them for connectivity. 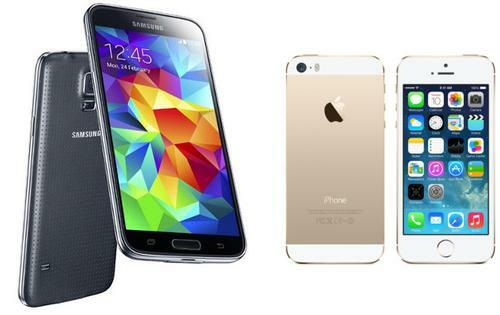 iPhone 5S vs Galaxy S5: which should you buy? The Galaxy S5 is fast, well built, full featured. It will have a big bright and bold screen, and good cameras, and it will offer good storage and connectivity options. And you could say all of the above about the iPhone 5S. The Galaxy S5 may offer a better, bigger display. It may even be slightly faster although we have no way of quantifying that and – frankly – it is irrelevent. By contrast the iPhone is smaller, more delicate but much easier to operate with one hand and lighter to carry. Both phones offer a fingerprint scanner. Both have good but not great smartphone cameras. Connectivity is well taken care of. Android is good for some things, iOS for others. Both are great. Storage options are different but while there is no 64GB Galaxy S5, you can add in an SD card (which you can’t with the iPhone). Galaxy S5 vs iPhone 5S is a good battle because the handsets are so different. But that means your decision is likely to be subjective. You can’t honestly say that one is better than the other, just that one is better for you. If you don’t have strong feelings then availability and pricing may determine this battle. But it really is a personal choice. This article offers a brief instruction about how to convert MKV to Android Devices supported video format, and transfer the converted movies or videos to Android Devices for playback. From Android product page, you will know that video formats supported by Android Devices are limited, it only supports H.264/MPEG4 codec MP4, MOV and M4V format, the other formats like MKV, AVI, WMV, AVCHD, MTS, TiVo are all not supported, even if you have transferred them to Android Devices, the tablet can’t recognize these files. I’m the Chief Consultant (budgetting) Royal Danish Theatre. I have collection of DVD’s/BD’s on HD and some AVCHD shootings from Panasonic HDC-SD9. My main propose is to convert from mkv to mp4 for use in Android-devices. Now we will share the best way to play unsupported video formats on Android Devices, here we take MKV for example, if you have other formats, the steps are the same. To get MKV videos played on Android Devices, the most effective way is to convert MKV to MP4 with best video settings for Android Devices. Now follow this article; you will learn how to accomplish this easily within a few clicks. Here I’d like to introduce Pavtube Android Video Converter, a very easy-to-use video to Android Devices converting program which comes with flawless video quality and quick conversion speed. It integrates many presets for Samsung Galaxy Tab S, Galaxy Note 4, Galaxy S6, Galaxy S6 Edge, Nexus 6/9, Kindle Fire HD 8.9/7, HTC One M9, Xperia Z4, Surface 3, Surface Hub, etc; many other presets waiting for you to pick up. I have some earlier experience of Pavtube, and I like its relatively easy learning curve. 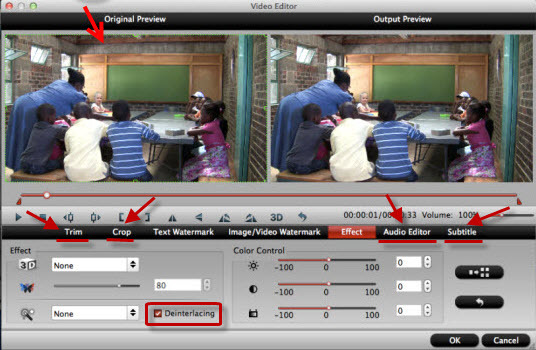 Have used DVDFab, Xilisoft, Wondershare among others, but Pavtube wins as for its functionality of stability. I also use it for perfecting my AVCHD editing workflow in Pinnacle Studio 17 ultimate with a coherent hopefully to create a bit more attractive video for family use. 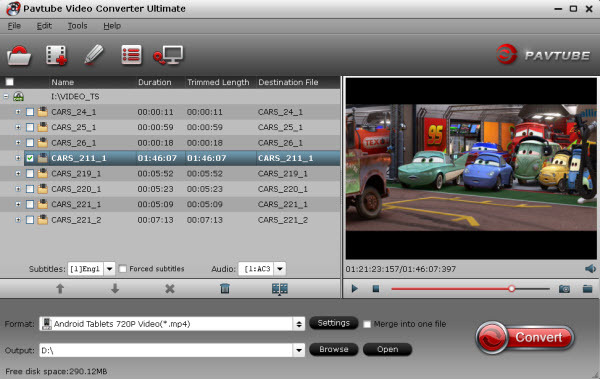 Mac version are here: MKV to Android Devices Converter for Mac. Step 2. Choose output profile for your Android Tablet/Phone. Click “Format” and select an output profile for your Android device. Basically the Common Video -> H.264 Video (*.mp4) is an universal format for Android tablets and smartphones. Also, there are optimized presets for Samsung, Amazon Kindle, Google Nexus, Asus Transformer, Acer, Archos and more. For example, if you wanna play DVD movies on your Android Tablet Sony Xperia, you can select “Sony” > “Sony Xperia Tablet Series Video(*.mp4)” as output format. For Samsung Galaxy series, just choose the corresponding profiles from Samsung option. Step 3. Customize video specs for Android Devices (Optional). In the Video Settings, you can select Encoder, Frame Rate, Resolution (you could define it yourself according to your Android Devices tablet) and Bitrate for your movie. According to my experience, for watching videos on an Android phone or tablet, 720p with 1500~3000kbps (depends on what device you use) is just all right. Step 4. 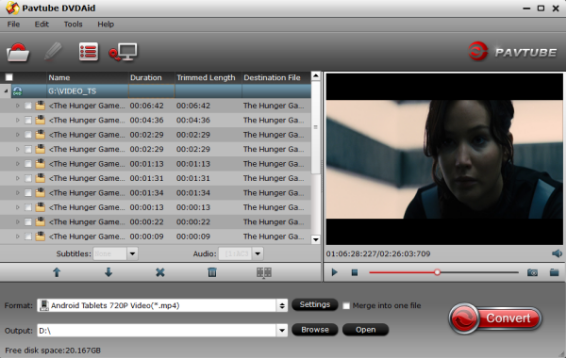 Start mkv Videos to Android Conversion. 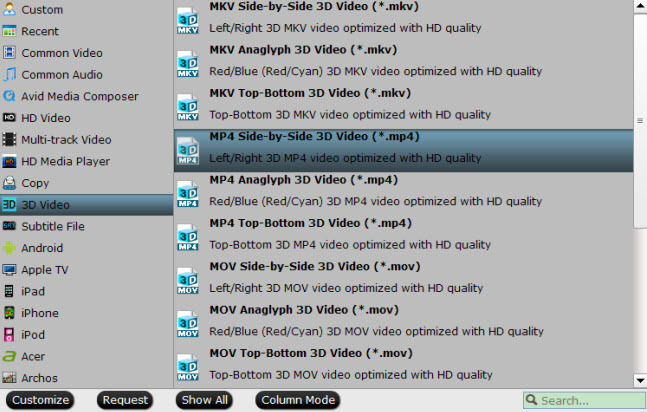 You can hit the big red “Convert” to start converting MKV to MP4 with best video settings for Android Devices. 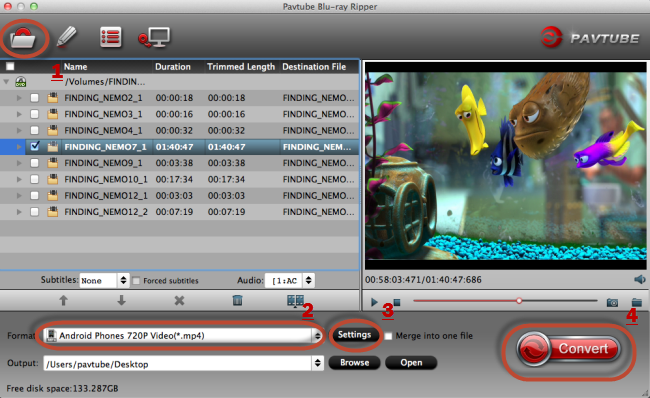 After the conversion, click “Open output folder” in the conversion window, or “Open” in main interface to quick locate the converted video. 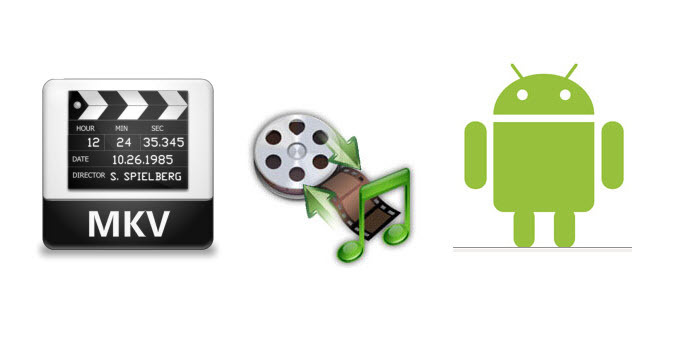 Now, you can transfer MKV videos to Android Devices for smooth playback without any problem. How to put videos to Android Smartphones? Bought a new Android device? Do you purchased and downloaded Digital Copy movies from Blu-ray/DVD? This article will tell you how to transfer them to your Android tablet and smartphone. Digital Copy is a standard definition digital version of your purchased DVD/Blu-ray; it’s usually located on a stand-alone disc which bundled with your sets and in your choice of iTunes or Windows Media formats. It’s Mac & PC compatible. As all know, the movies from Digital Copies are protected with DRM technology. Digital Copy is Windows/Mac compatible (which is usually in WMV or MOV format); it also works on IOS devices but not on Android tablets. How to get Digital Copy playable on Android Tablets and Smartphones? So if you want to play Digital Copy on your Android tablet or phonevicese, you need to remove DRM from the Digital Copy files firstly and then convert them to the formats compatible with your Android tablet and smartphone. 2. 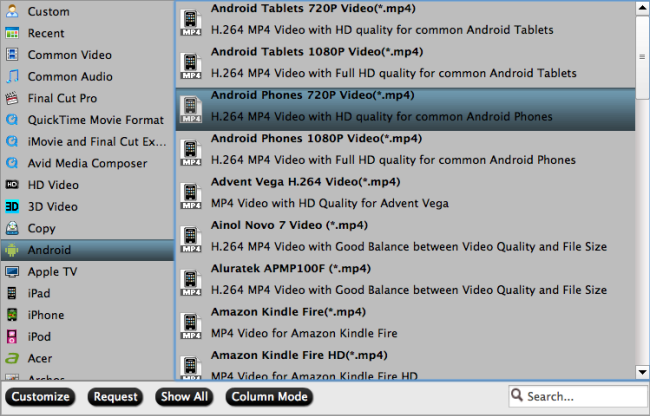 Convert to other formats Android supports, for instance, H.264 MP4. Digital Copy to Android Converter is a professional removal tool for rolling off DRM from Digital Copy files, and transfer to various android devices like Galaxy S4, Galaxy Tab 3, Galaxy Note 3, HTC One Mini, Kindle Fire HDX 7/8.9, Sony Xperia Z1, Nexus 7 2, etc. In addition, with ChewTune, you can also record and transfer iTunes movies/Amazon videos/BBC iPlayer videos to all Android as well as Windows 8 device for watching. Click the drop-down-list besides “Format”. 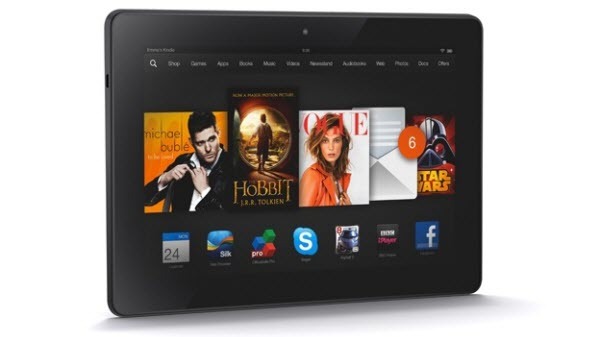 There are optimized video format for Nook HD tablet, Kindle Fire HD, Galaxy Tab 3, Galaxy Tab 2, Galaxy Note 3. Galaxy Note 2, Google Nexus 10, new Nexus 7, Kindle Fire HDX, Kindle Fire HD, Moto X, Sony Xperia Z1, Asus Transformer Prime/Infinity TF700, Acer Iconia Tab etc. Basically the Common Video -> H.264 Video (*.mp4) is an universal format for Android tablets and smartphones. 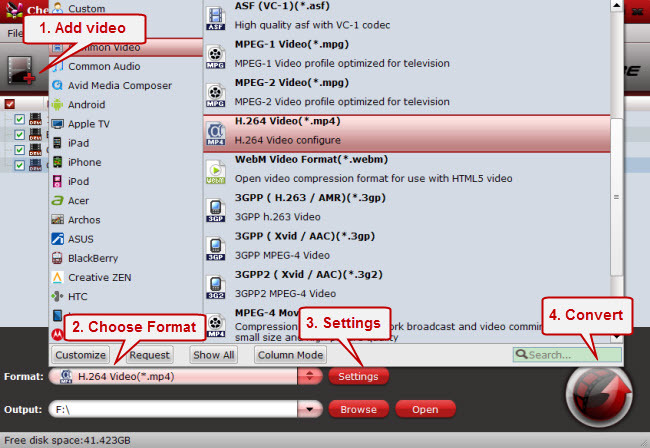 Click “Settings” to change the video encoder, resolution, bitrate, frame rate, etc. as you wish. According to video testing result, for watching videos on the Android tablet, 720p(1280*720) with 1500~2500kbps is just all right. 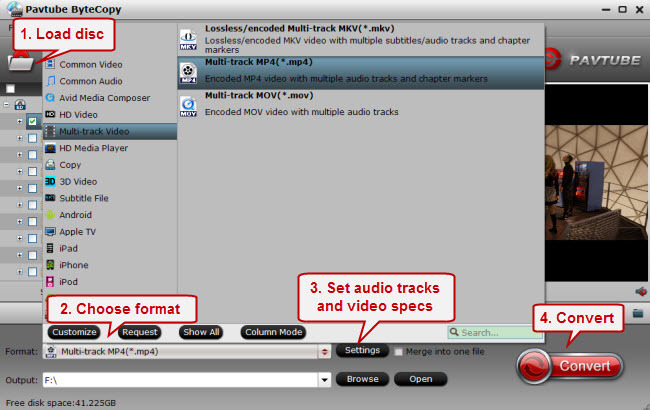 After the conversion, click “Open output folder” to quick locate the converted video. Connect your Android tablet to computer. Transfer Digital Copy to Android via USB cable. How to transfer the converted Digital Copy contents to Android Tablet ans Smartphone? Maybe you’ve got an Android phone or tablet and want to play your favorite Blu-ray movies on it without BD drive anytime and anywhere you like, now get this top Blu-ray Ripper for Mac which enables you transfer Blu-ray movie on Android device on Mac 10.9 Mavericks & Mountain Lion. As is known to all that Android now is exceedingly hot among people all over the world. 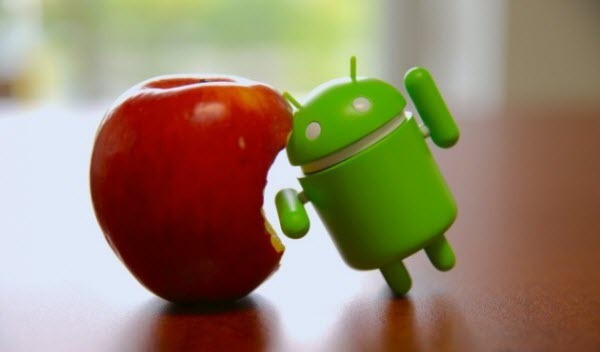 As a strong rival against Apple, Android has clear advantages. Therefore, lots of people would prefer a phone or a tablet with Android system. However, they may be confronted with an obstacle that they cannot watch Blu-ray movies on Android Phone & Tablet directly.Well, no need to worry. Since Android devices don’t have the drive for Blu-ray playback, in order to get Blu-ray movies playable on Android tablets or phones, you need to rip Blu-ray to Android supported video formats like MP4 first before transferring them to your device. Searched widely and I got some tech support for converting Blu-ray to Android MP4 video on Mac 10.9 Mavericks & Mountain Lion without losing quality in a simplest way, I find more than one people suggest to rip Blu-ray to Android Phone & Tablet on Mac with Blu-ray Ripper for Mac. It is an ideal app for you to rip Blu-ray, DVD, ISO/IFO files to MP4 video. Plus, it also can help you to convert Blu-ray, DVD to almost any other common video format such as VOB, FLV, WMV, AVI, MKV or backup the BD, DVD keeping the whole movie structure as you need. Now are on 30% off for Thanksgiving sale. 1. Click the top left icon to import Blu-ray/DVD discs correspondingly. Click the drop-down list on the bottom; choose proper presets according to your device model. You can see columns for normal Android devices, tablets/phones from HTC, Samsung, Motorola or PSP/PS3. 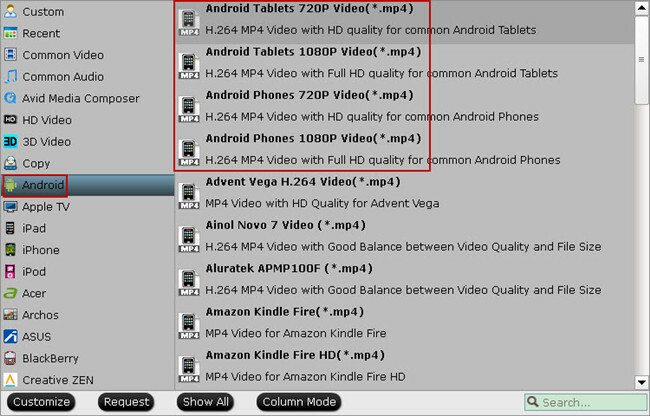 Basically the “Common Video -> H.264 Video (*.mp4)” is a universal format for Android tablets and smartphones. Or depends on your device, you can choose a suitable video format from “Android” catalogue, or you can use the small search box to locate your device quickly. 2. Check the pencil-like icon to activate the editing function. Here you can trim video for your needed length, crop video to get rid of annoying black edges, join multiple video clips into one, add text/image watermark and add subtitles. For example, if the original Blu-ray movie has no subtitle or the subtitles you need, you can download it from website and then add it into the output videos for full enjoyment with this software. 3. If you want to output video in specific size, bitrate or frame rate, click “Settings” (which is marked as “3″) and change the digits as you need. Pls notes that the video quality improved with the bitrate, but not the higher the better. You need to consider your device configuration as the high bitrate required higher read&write speed. 4. Ok now click the “Convert” button to start converting/copying Blu-ray/DVD to Andorid tablet ot phone for playing. After conversion, click “Open” to locate the converted video directly. Don’t know how to transfer videos from PC to Android? You can view this Android File Transfer. If you are a DVD lover, turn to the gudie to learn how to Rip DVD movies to Android Phone/Tablet for watching. This article aims to introduce an easy way to unlock iTunes purchased movie and convert DRM M4V video to Android OS Tablets & Phones for playback on Windows and Mac. Android OS Tablets & Phones are rapidly gaining in popularity these days, and it reported lately, the collective recent sales of all Google Android OS tablet exceed those of the iPad in the US for the first time. Google itself, Samsung, Sony, Motorola, HTC, LG and other handset manufacturer offered a variety of Android OS powered phones coming with big screen. With the big screen, watching HD movies on Android tablets & Phones anytime anywhere is a nice choice. Android Os takes large shares in today’s market. Here in this post, we may share Androis users a little use skill on how to put iTunes videos to Android tablet & phones for playback. So if you want to play iTune M4V movies on Android OS Tablets & Phones, firstly you need to remove DRM protection, and then do a iTunes video recorder to Android compatible formats. In this article, we will introduce the easiest and most reliable way to transfer DRM protected videos to Android OS Tablets & Phones playable format. With this versatile iTunes to Android Recorder tool, you can easily remove DRM protection and also recorder M4V video to MP4 format as the most compatible format on Android Tablets & Phones. After recording, the output quality is still as vivid as original. Free download DRM Converter for Android tablet & phones, and get your iTunes movie recording process started. 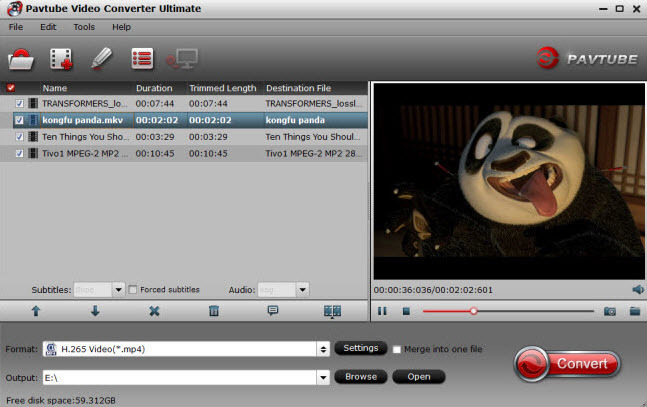 Run this Pavtube Chewtune as a top DRM Removal Software and DRM Video Recorder, and add videos. Drag and drop your videos to it directly, or you can click icon to import them as below. 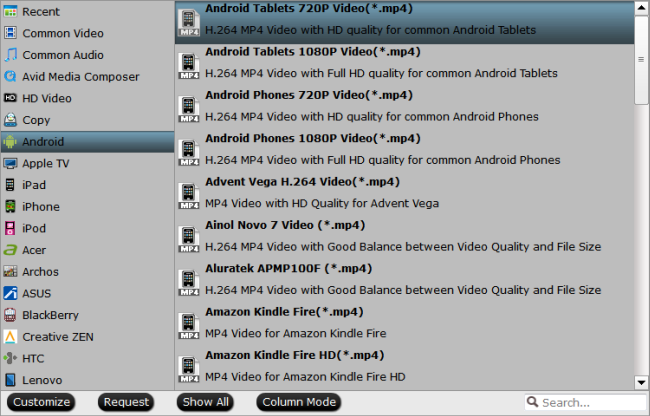 Click the drop-down-list besides “Format” and choose “Common Video> H.264 Video(*.mp4)” as the most compatible format with Android OS Tablets & Phones. 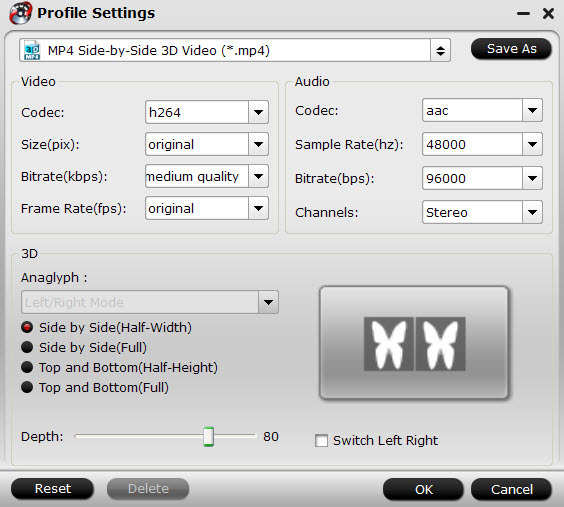 Click “Settings” to enter Profile Settings window, you can find settings for video size, codec, bitrate and frame rate. For Moto X, you are suggested to set the Size to 1280*720; and bitrate will be fine from 1500 to 2500k. Step 4. Start iTunes M4V to Android recorder. Now click the “Convert” icon to start removing DRM from iTune M4V videos and recording iTunes videos to Android OS Tablets & Phones for playing; this DRM Video Recorder will activate your iTunes automatically and start to play this video. The player windows cannot be removed or closed. How to transfer the converted iTunes M4V video to Android OS Tablets & Phones?